Have you ever had a piece of clothing that seemed to be cursed? I once had a white cotton tuxedo style shirt - all small tucks down the front - that was truly cursed. Every time I wore it I got something on it. Pasta sauce. Chocolate. Gravy. Ink. The mystery stain. You know. 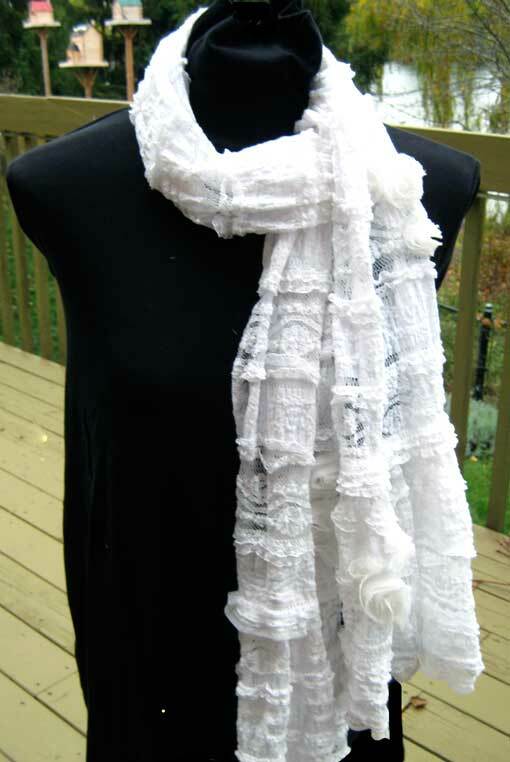 I had a remnant of white stretch lace that I bought thinking it would make a frothy shabby chic scarf. 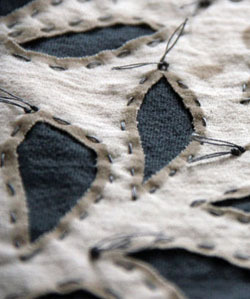 The fabric was so lovely that it sort of intimidated me. I've had it hanging up in my sewing room for ages. Every time I walked by it I'd eye it and think "this week". That went on for about a year. Finally this week arrived. Mostly due to the fact that I was avoiding starting my next sewing project. But I digress. I cut a 10 inch wide strip of the fabric - as long as the remnant would allow. I knew I'd need to pieced for the length I wanted, but first I needed to finish the long sides. And this is where the curse first showed itself. 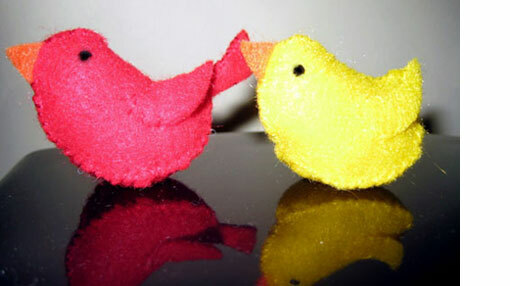 Now, I am not a newbie in the sewing room. I KNEW that I would have trouble sewing lace on the machine if I didn't use something to stabilize it and to stop the lace from getting sucked down into the feed dogs. Did I do that? No. Because I was too anxious to start to walk down 2 flights of stairs and find a package of tissue paper in the basement. Big mistake. Within about an inch the lace was firmly stuck in the machine. 20 minutes and some swearing later it was free. Luckily nothing was damaged, and I walked my impatient self downstairs to find the tissue paper. Long folded strips of tissue made the second sewing attempt much easier. Tearing it off went well, but there are always little bits to pick out. These end up all over you and the floor. And I was wearing black of course. Cursed step 2: I decided to add extensions to the ends of the scarf. I cut much wider short strips that would be gathered to create a ruffled edge. While pinning the first extension in place I pricked my finger. Sometimes you can do that and nothing happens. But this time bright red blood spurted out on my pristine white fabric. Eek. So it all had to be washed and dried before I could go on. Cursed step 3: With the first end piece gathered and pinned on, I started sewing, tissue strip in place. The bobbin thread broke and being white on white, I didn't notice until the end of the seam. Sigh. It happens. Start again. Sewing along happily until I realized I had gone off the tissue paper. Machine jam 2. I sorted it out, finished the seam and put it all away for another day. Cursed step 4: Returning the next day to sew the other extension of the scarf I discovered that several nasty black marks had spontaneously appeared on the fabric. WTF? I have no idea where they came from or what they were, but even after soaking it in a stain remover, I ended up having to scrub them out with a tooth brush and dish soap. Yup, back in the washer and dryer again. Still one greyish spot, but hopefully I can cover that with some embellishment. Cursed step 5: OK, back to the sewing machine. Tissue, check. All pinned without loss of blood, check. No stains, check. Bobbin full, check. The sewing went well. I tore off the tissue, cleaned up the little bits, trimmed the tail ends of the threads and discovered I'd sewn the extension piece on back to front. Crap. 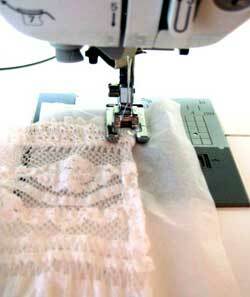 Have you ever tried to pick out machine stitching on gathered stretch lace? 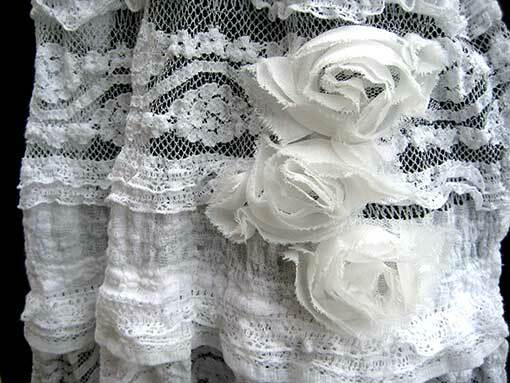 The Final Straw: I had a strip of beautiful rose trim that was made from raw edged chiffon and decided to sew some on individually. The great thing about these is that the more they get roughed up by wearing, the softer and well, shabbier, they'll become. But somehow in sewing one of these on (gossamer on gossamer) I managed to sew through one side of the scarf to the other. Really? Note to self: never take on a white lace project again. Friends, do not ask me to make your wedding dress.